Fun Felted Cards & Gifts to Give and Treasure! – LIVING FELT Blog! 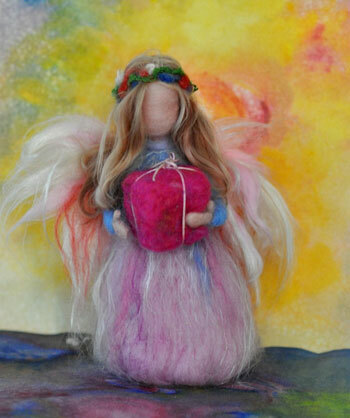 Fun Felted Cards & Gifts to Give and Treasure! 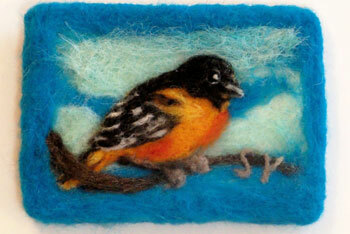 ideas of small felted treasures for yourself or someone you love. Join us on facebook to share yours! collection of somewhat “primitive” crafts. 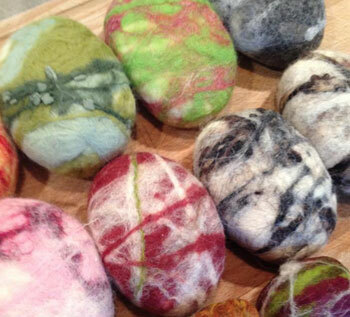 Felted soaps are a fun and easy gift to make! These colorful abstract soaps were made by Donna Brau of Minnesota. 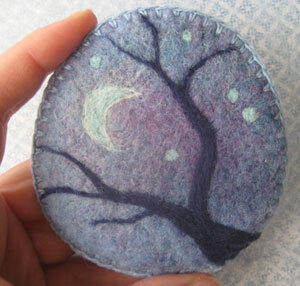 We have a free tutorial on making felted soap here. treasures. 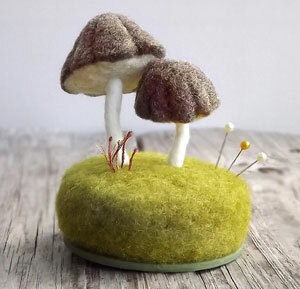 This toadstool pincushion is just one example; definitely worth a visit to her shop. We own one of her mini sculptures … they are just as darling in person. and mini cards like this one. Her shop is also on etsy and is called Syodercrafts. Creating a lovely needle felted brooch this tiny requires love, patience and attention to detail! she has turned her little sculpture into a birthday card by creating a “setting” taking a picture, and printing it on a card. This one is a Happy Birthday greeting card. Previous Nuno Felted Lattice Scarf: Bold, Feminine & Raspberry!